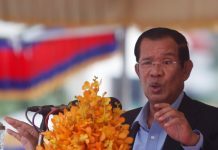 Continuing a back-and-forth of name-calling and provocation that flared up last week, Prime Minister Hun Sen said former opposition leader Sam Rainsy would be detained immediately should he attempt to return to the country, while also denying Mr. Rainsy’s claim that he had authored an order to military commanders to the same effect. “Rainsy is very stupid…. [He] says that an obtained order to military forces is mine. Where does it say it belongs to me? 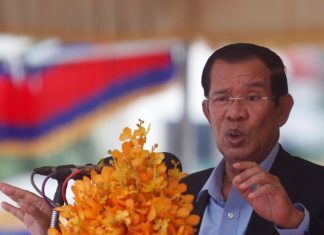 Does it have a seal and signature?” Mr. Hun Sen said in an interview with government mouthpiece Fresh News on Saturday. Mr. Rainsy has lived in exile in Paris and not returned to Cambodia since November 2015. He resigned in February before the passage of controversial amendments to the Law on Political Parties, which ruled that a person with a criminal conviction cannot lead a party. 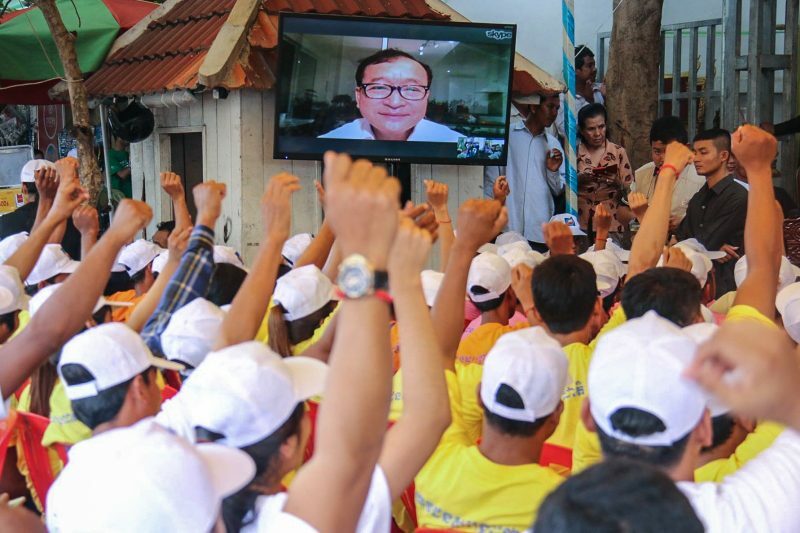 Mr. Rainsy currently faces a raft of charges and convictions that are widely seen as politically motivated. Mr. Hun Sen on Wednesday lifted a ban on Mr. Rainsy’s return, which forbade immigration officials and airlines from allowing him into Cambodia, after hearing Mr. Rainsy tell Radio Free Asia (RFA) on Tuesday that Mr. Hun Sen feared his return. 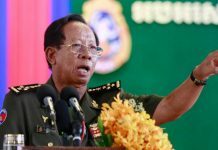 In a post on his official Facebook page on Friday, Mr. Rainsy said “secret instructions” had also been given to military commanders on Wednesday. “Sam Rainsy is still a convict who must be dealt with by the law-enforcement forces according to sentences handed down on him by the court. He must absolutely be put in jail at any cost. He must not be let free,” the alleged order says. In an email on Sunday, Mr. Rainsy said he had received the message from a reliable ruling party source, without responding to additional questions. “This electronic message containing very clear instructions from Hun Sen was obtained from a highly placed CPP’s source,” Mr. Rainsy said. CPP spokesman Sok Eysan said Mr. Rainsy wrote whatever he wanted and had no reliable sources. “Sam Rainsy is useless. He is a convict. Even if there is no order, he must be arrested,” Mr. Eysan said.